The OBD provider gives the graphical interface to the users to set up outbound IVR tree and to customize the features, as you wanted to include according to your business needs. The OBD Provider also help you to set up all your IVR features and to make your call center perfect for the customers. 1. Voice Blast: The voice blast feature of the IVR system will help you to send bulk voice call to all your customers together with one go. You just need to feed all your customers or users list in the IVR software and choose the voice message, you want to send to your customers. Even, your customers can send their feedbacks and can directly connect with you to show their interest in your business, using the keypad inputs you customized in your voice call. 2. Predictive Dialer: Predictive dialer a smart move to make your business standards high. It is a smart and automated dialer to maintain your customer’s calls. It will automatically dial the numbers on your screens and connect the customer to the concerned department automatic. The predictive dialer will reduce the human efforts and filter your caller list for you. It will detect the busy tones, answering machines and redialing number and then, dial the number. 3. 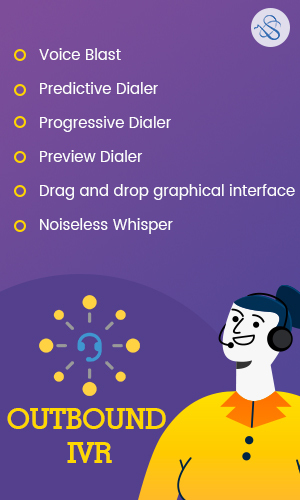 Progressive Dialer: A progressive dialer is an advanced option of the outbound IVR with some automatic call dialing feature. It will help you to explore your customer’s experience. It will ensure that the call of the customer redirects to the available agent or a live person. The functionality of the progressive dialer is, it will dial the calls from your caller’s list one after the other, only when the agent is online or available to attend the calls. Your business will get the productive benefits of using progressive dialer. 4. Preview Dialer: Preview dialer, as its name indicates it will show the preview of the next call to the live agents at the end of the current call. An agent can decide that when to make the call on the number on the screen or they can skip the number and can go with another number. This dialer is useful for the sales and marketing, where to do some research of the caller they can decide whether they’ll get the lead from the caller or not. It will save the time of the agents and help them to generate more business revenues. 5. 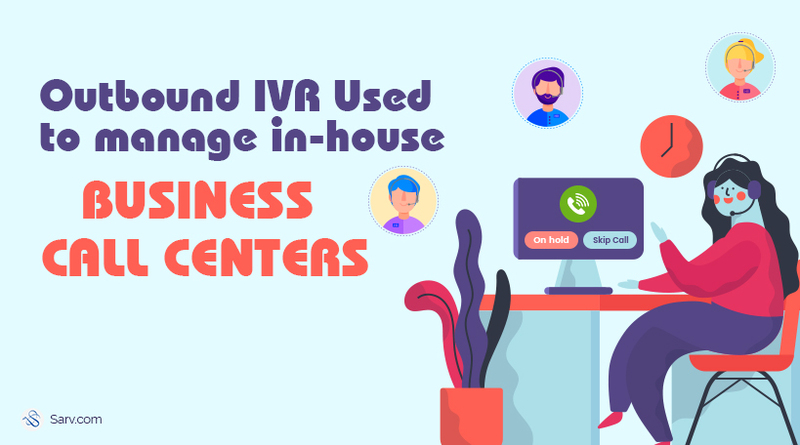 Drag and drop graphical interface: The outbound IVR is easy to use and flexible tool for the businesses. Right? Let up tell you, the setup or customization of the outbound IVR is also as easy as using it. The OBD providers will give the access of the panel where a graphical interface of your IVR system shown on the screen. And for customizing the IVR as per your business needs, you only need drag and drop to make it matches with your business requirements. 6. Noiseless Whisper: The noiseless whisper is an advanced feature for the businesses, to help the agents from resolving the customer’s queries. On the live calls, the agent can connect with their team leader to take their advice regarding the customer’s concern without being the customers aware of it. This live advisor feature will help to make the customer support more comfortable and you can satisfy your customers with your answers with the perfect advice.